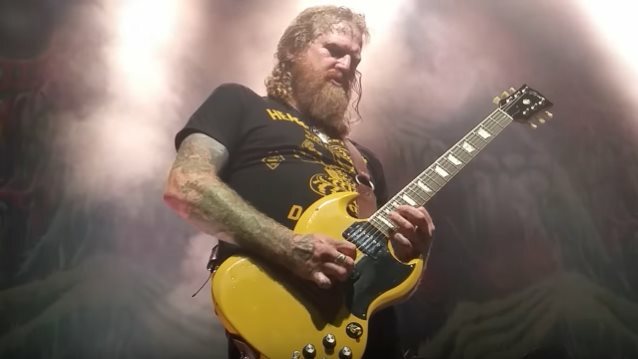 MASTODON's Brent Hinds proposed to his girlfriend Raísa Moreno onstage during the band's April 28 concert in Birmingham, Alabama. The singer/guitarist, who grew up in nearby Helena, was also joined by his grandmother, who came up onstage to dance while the band played. 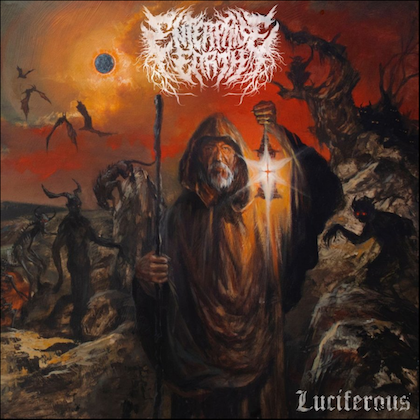 MASTODON's latest album, "Emperor Of Sand", was released at the end of March. The follow-up to 2014's "Once More 'Round The Sun" was recorded at The Quarry Recording Studio in Kennesaw, just outside MASTODON's hometown of Atlanta, with producer Brendan O'Brien (PEARL JAM, NEIL YOUNG, AC/DC, RAGE AGAINST THE MACHINE), who first worked with MASTODON on their seminal 2009 album "Crack The Skye".